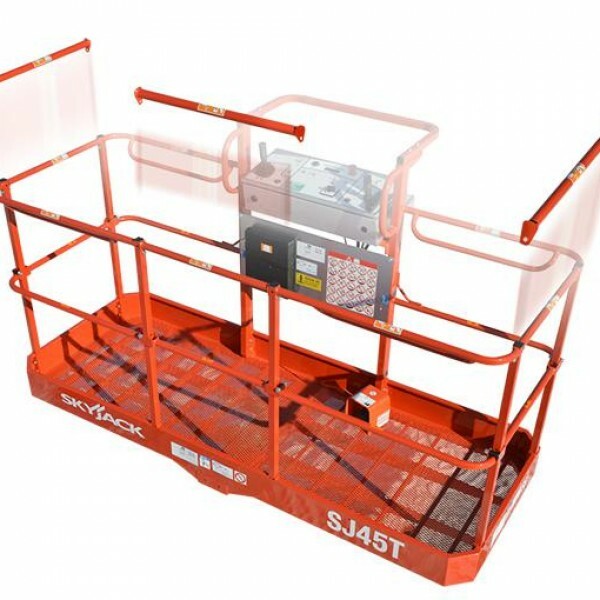 The SJ45T boom lift offers proven design features such as Skyjack’s standard color coded and numbered wiring system with analog based controls. 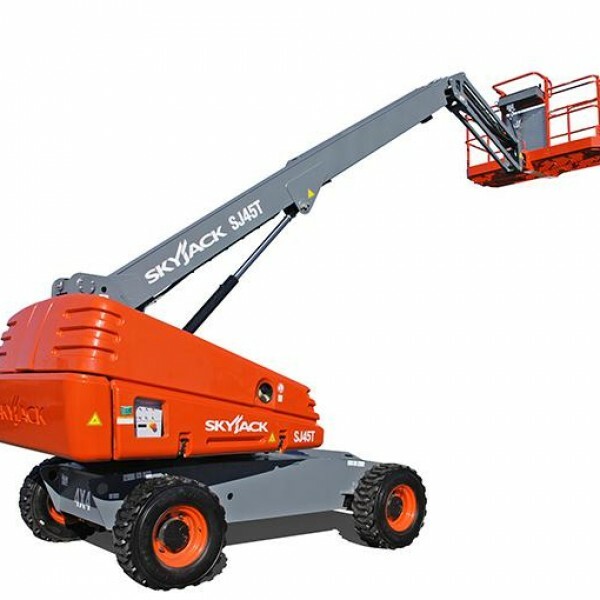 The SJ45T also features Skyjack’s exclusive Directional Sensing Drive and Steer Controls, which ensure the boom lift will always drive and steer with respect to the operator rather than the orientation of the chassis. The axle based 4WD system offers unsurpassed traction and terrainability; using a ‘Detroit Locker’ type differential on the rear axle and limited slip differential on the front oscillating axle.